I have been playing with cars ever since I was old enough to know what cars are. I started with go-karts and motorcycles before I had a drivers license, bought my first car/truck (1960 F-100 for $500) on my 16th birthday coming home from the DMV with my new license in hand. 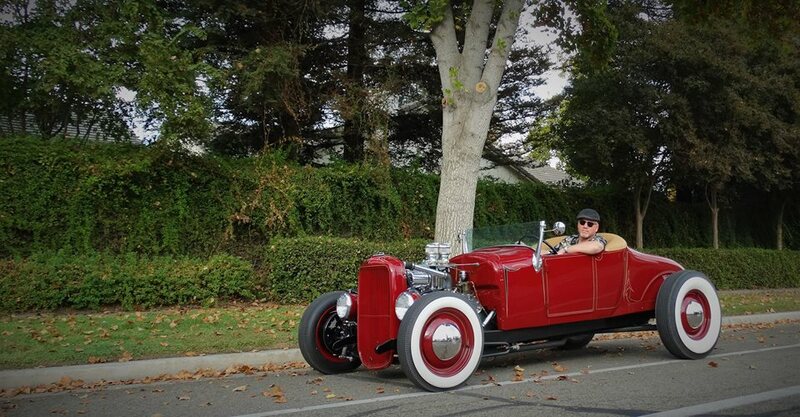 I started my first "traditional" build with a 1930 Ford Tudor sedan that I bought from a would be restorer in Pleasanton CA, from there the process of building a hot rod began. My 1927 Model T roadster started life as a Flathead V8 that I had waiting in my garage for 12 years looking for a place to put it. The body came from a friend that I met through the HAMB, he brought it to CA from St. George UT during GNRS and exchanged it for a LS engine I got for his truck. I have a few others but they are "works in progress". LSR is another story, I have a 1962 F-100 I run in D/PP class at El Mirage and Bonneville along with a '29 Ford Roadster that I just started running last year in D/GR class. What got me interested in Hot Rodding was Hot Rod magazine, which I had a subscription before I ever had a drivers license. What makes the culture special? The people of course. I have met a few that cause a little trouble but the vast majority are good helpful souls that would give you the shirt off their backs. As for racing, many guys will bend over backward to help you break their record. Good folks. The customization process is exactly that, a process. None of my cars have ever turned out the way I envisioned them in the beginning. You pick up ideas as you go along. Looking at others cars you get ideas, not so much copying but get ideas.